Camp for €18,- a night at Camping am Oberuckersee in low season with CampingCard ACSI. Camping am Oberuckersee, located in Warnitz (Brandenburg), is a campsite with 160 touring pitches and 60 year round pitches. With your CampingCard ACSI you can camp on one of the pitches during the following periods: 01-04-2019 - 28-05-2019, 02-06-2019 - 06-06-2019, 10-06-2019 - 27-06-2019 and 01-09-2019 - 04-10-2019. At this campsite you can not only use your CampingCard ACSI for inexpensive camping, you can also use your ACSI Club ID (as an alternative ID). Idyllically located rural campsite in the middle of the Schorfheide-Chorin nature reserve where you can not only enjoy wonderful views, but can also go fishing, swimming, sailing in a boat and much more. Easily accessible by bike, train, car or boat. Would you like to book Camping am Oberuckersee or request more information? You can do both using the information below. Campsite can be reached via the A11/E28 exit 7 Warnitz. Follow signs to Warnitz and in Warnitz cross the railway and immediately turn left. Follow this road. The campsite is located 6 km from exit 7. 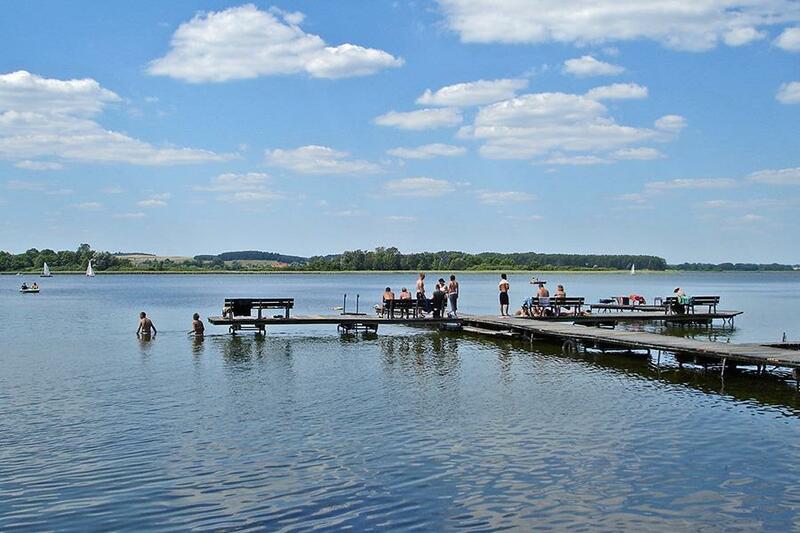 CampingCard ACSI will send your information request to "Camping am Oberuckersee".